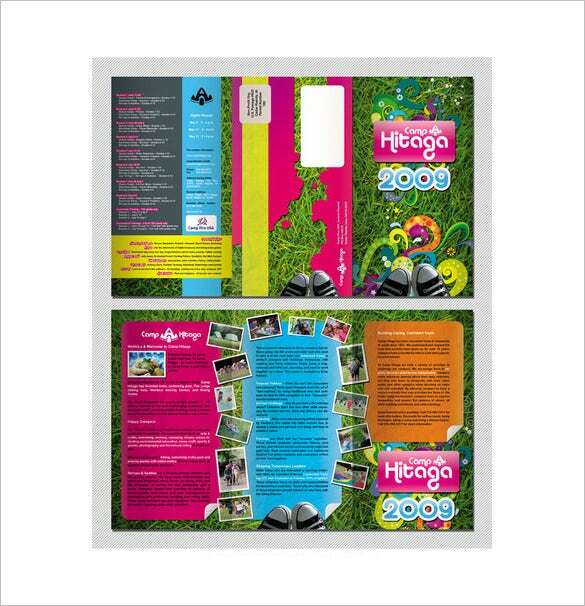 In order to advertize the summer camp organized by your organization, you can download this template and encourage parents to send their children at your thrilling camp. 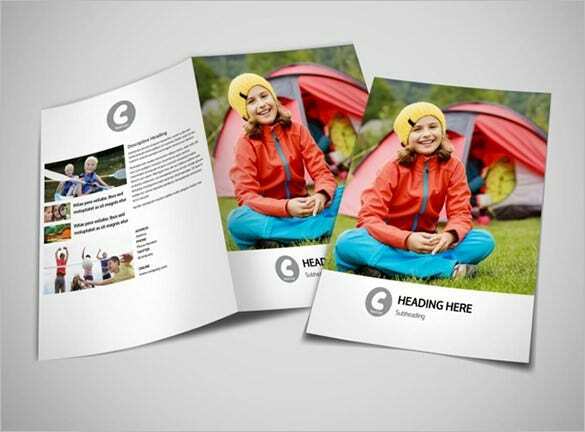 You can add the details and the events to be held at you camp with eye catching captions and images. 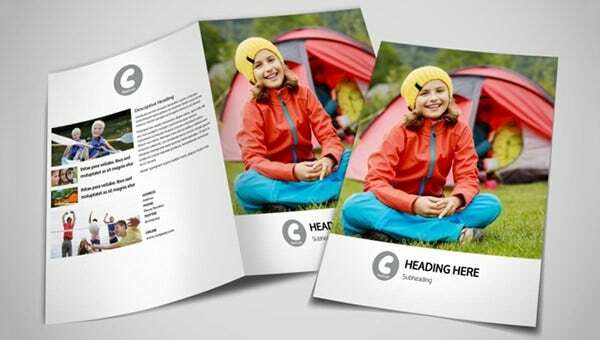 Just download photos and artwork showing the different activities involved in camping to modify this beautiful camp brochure template. 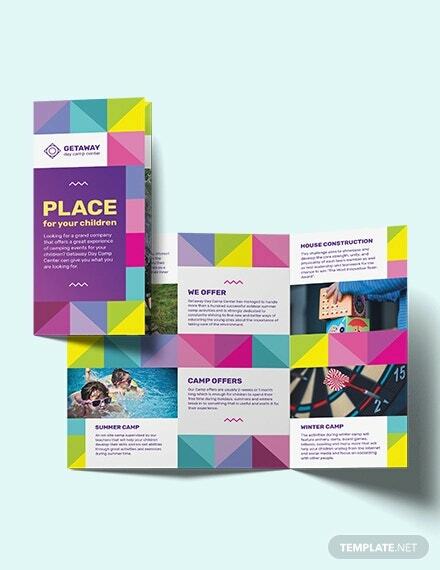 Adding information about the camp, the cost and the schedule along with the contact details is now made easy with this template. 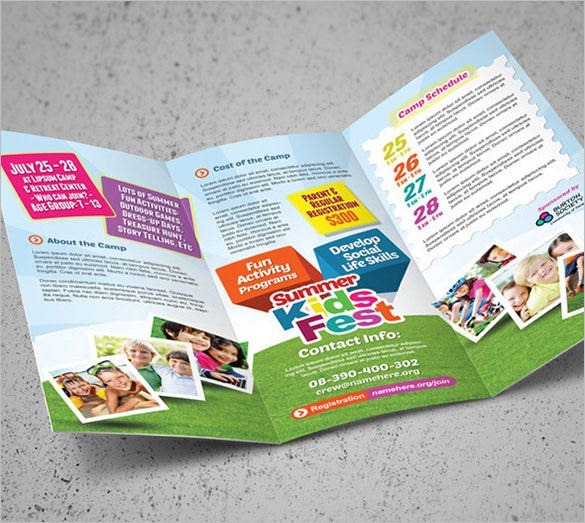 Create a good looking cute kids summer camp brochure. 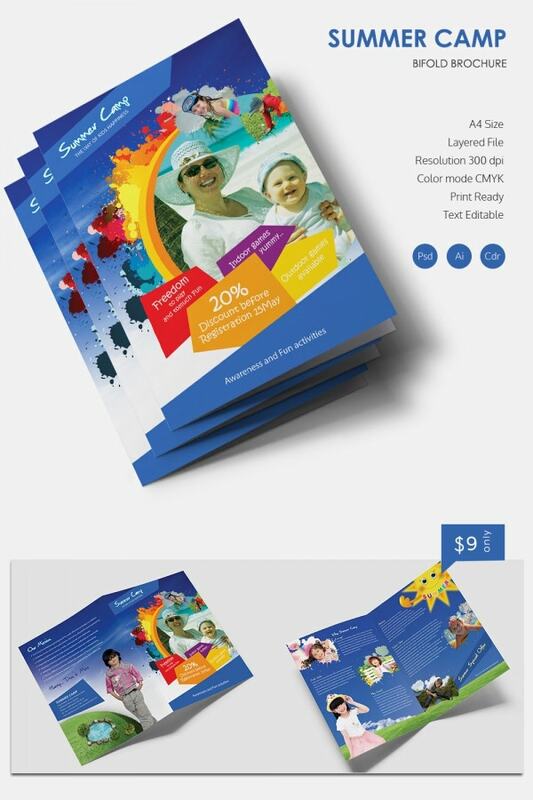 Download layout with images and artwork. 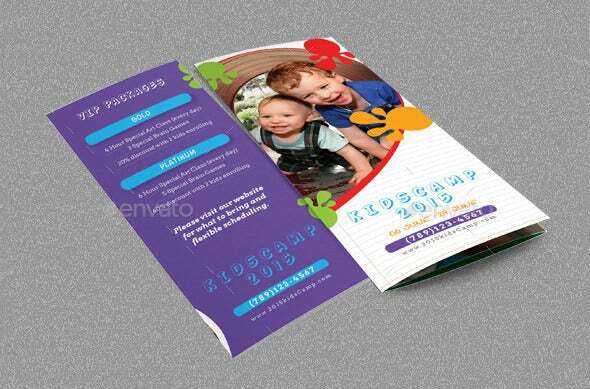 Modify and print it. 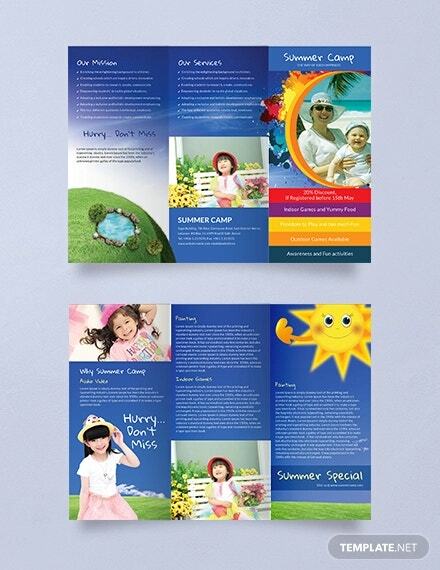 Summer camp brochure can be used as a small catalog for the storekeeper selling them to various children where they can see the various summer camp options. 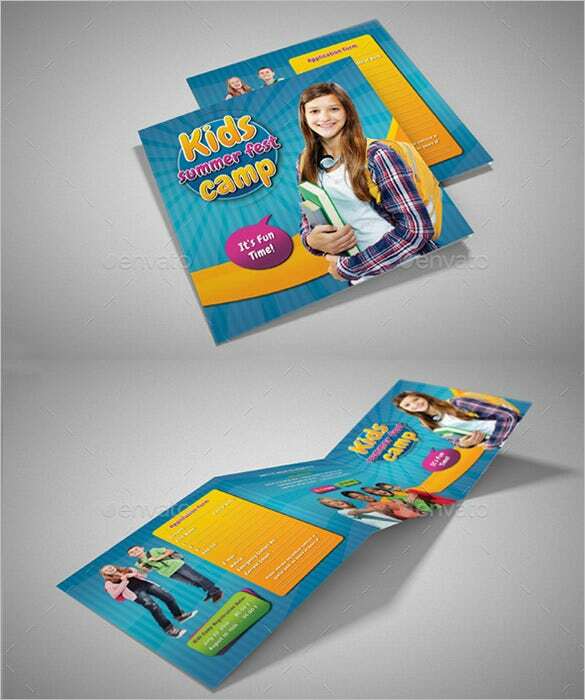 By downloading this template you can attract maximum number of kids for your camp by advertizing about the various activities offered under one roof. 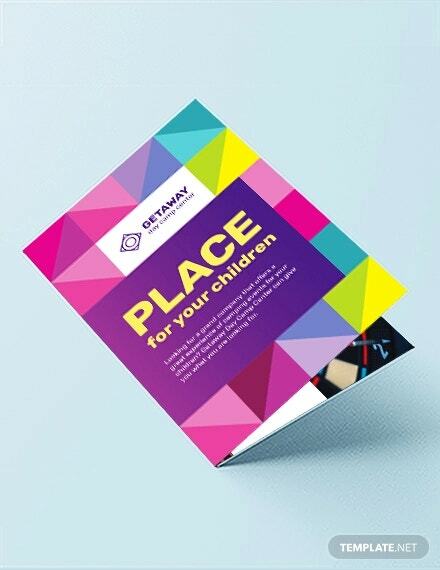 To make it more informative, you can add the duration, fees and venue of the camp. 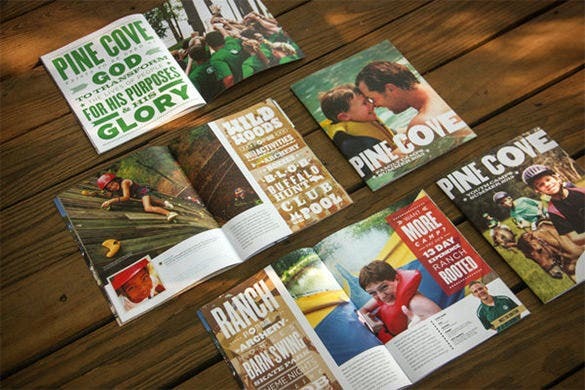 This brochure will inform you about the beautiful ways of enjoying the camp. You can mix the outdoor activity with the camping, activities like rock climbing, skiing, horse riding, and water rafting etc. 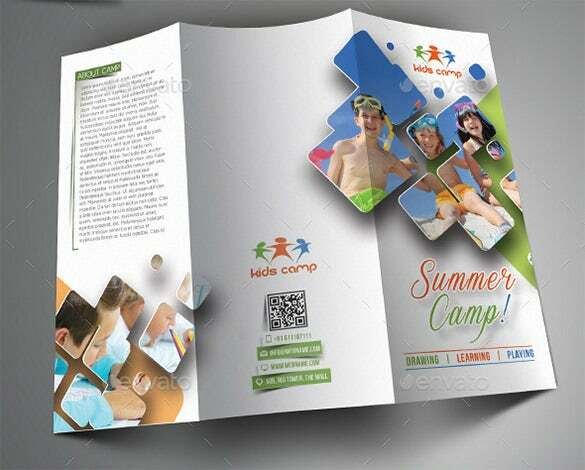 to make a beautiful camp brochure template. Horse riding can be made fun at your camp. 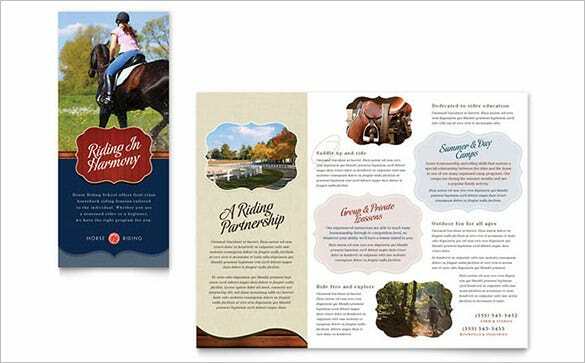 Download this template and show the different pictures and artworks of horseracing and also inform about the skills and techniques of riding and caring for a horse. Fun activities or if you are running a health camp you have to add the details specifically including the precautions and different ways by which people will benefit out of the camp to be followed as per schedule. It is like your work is being done without having to go door to door.